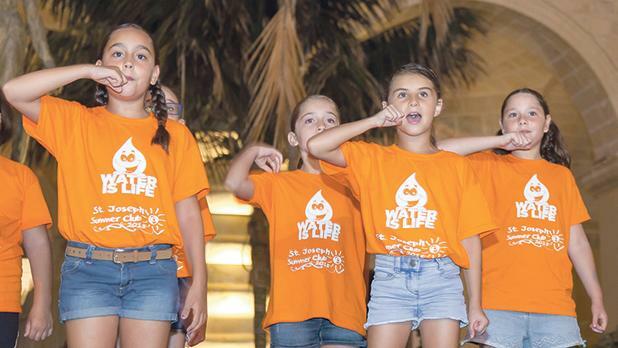 The St Joseph Summer Club activities this summer again brought real awareness about the importance of water to young students and their families. Nearly 663 million people around the world do not have access to safe and clean drinking water. Unsafe water kills 200 children every hour. And, in some regions of the world, shortage of water is already leading to political conflict. 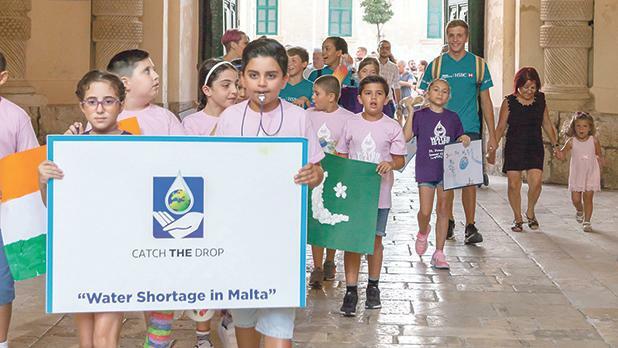 These messages were highlighted by the 74 student participants of St Joseph Summer Club in Paola, which, for the fourth year running, organised its entire summer schedule around the theme of water conservation in collaboration with HSBC Water Programme – Catch the Drop. 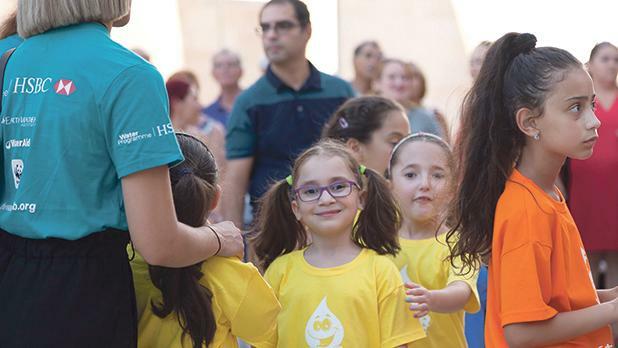 Running for eight weeks for children aged three to 12 years, the summer club offered special activities and guest appearances all related to raising awareness about water shortage and water conservation. 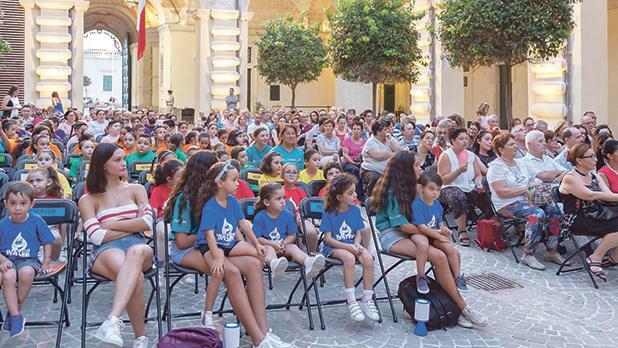 The highlight of activities in programme was when the children gathered at the Grand Master’s Palace in Valletta and produced a colourful concert. The concert was free, but the public was encouraged to give donations for a water project being carried out in Tanzania. The event commenced with a symbolic walk from the Parliament building to the palace courtyard. 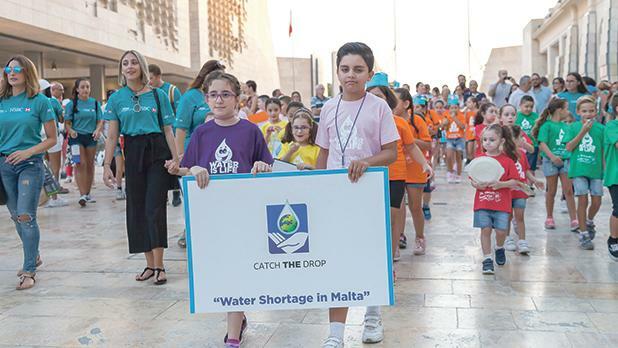 During the walk, the students held posters and crafts related to water conservation. “Scientists predict that in less than 10 years, one in five humans will live in regions suffering from water scarcity,” Glenn Bugeja, HSBC Water Programme coordinator said. “As an already water-scarce island, we must do everything in our capacity to preserve our water resources. 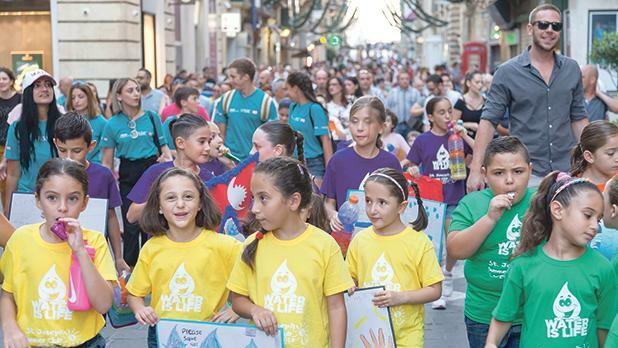 “We are grateful that our partnership with St Joseph Summer Club has brought real awareness about the importance of water to young students and their families,” he added.